John Kost joined Federal Sources in July, 1996 as Senior Vice President for State & Local Services Group. Kost provides direct consulting services to government in the areas of purchasing reform and technology management in addition to a wide range of services to client companies. Prior to Federal Sources, Kost was Chief Information Officer of the State of Michigan, the first person to hold that position. He became CIO in 1992. Additionally, Kost served as Deputy Director for Procurement & Information Technology of the Department of Management & Budget where he was responsible for all Michigan purchasing, privatization and contract management activities. He was also responsible for process re-engineering for State government and was the architect of the plan for the Michigan Information Network, a statewide network to bring distance learning, telemedicine and other networked-based services to the people of Michigan. Prior to his time at the Department of Management & Budget, Kost was Deputy state welfare director early in the Engler Administration while it was undergoing massive reforms of public assistance programs. 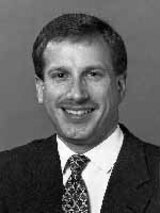 From 1983 until 1996, Kost was an appointee of John Engler during his time as Governor and Senate Majority Leader. From 1985 to 1990, Kost was director of policy for the Senate Majority. While on Senate staff, John was also responsible for intergovernmental relations. Prior to the Senate, John worked as an analyst in the Social Services area in the House of Representatives and began his state government career as a welfare caseworker for the state of Michigan in Detroit. John has given dozens of speeches around the country in the areas of purchasing reform, technology management, privatization, process re-engineering and many others. He has been invited to testify before committees of the U.S. House and Senate. In 1995, he was awarded the honor of "Public Official of the Year" by Governing magazine. John also attended the State & Local Executives program of the Kennedy School of Government at Harvard University in 1993.